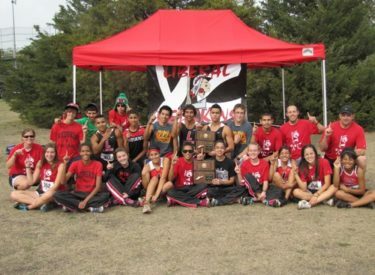 Five Liberal High School Cross Country Runners will be competing in the Cross Country Coaches National Youth Championships in Huntington, West Virginia. The race takes place this Saturday November 19th. All five runners will be competing for the Brocaw Blazers, a team out of the Kansas City Area. Since 1988 the Brocaw Blazers have had 96 National Team Championships, and 61 individual National Champions out of the 6 age divisions. Senior boys Fidel Munoz and Eric Minjarez will be competing this weekend and the girls competing will be Jr. Destyni Lucero, and sophomores McKenzie Wright and Mercy Perez. All five runners will be competing in a 5000 Meter Race. All runners had to run a qualifying mark to be able to compete at the National Meet, or finish in the top 17 at the State Meet. This is just one of the many accomplishments these runners have received this year both individually as well as with their team.